The "Maria L", en route from Esquivel to Riga with a crew of 20 on board, suffered a fault with its starting motor, south of Plymouth in position 49 52 00 N, 004 20 18 E on March 20, 2019, around 1 a.m. 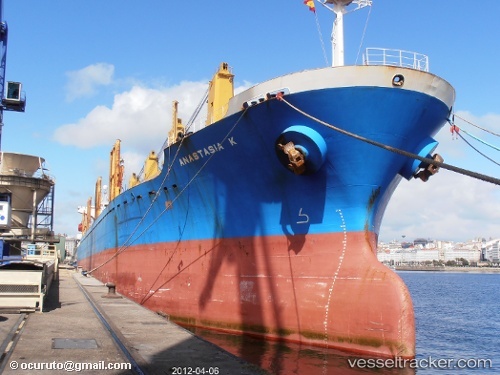 The vessel which was carrying 27,148 metric tonnes of allumina carcinate on board did not request assistance and resumed its voyage after troubleshooting with an ETA at Riga as of March 23. Vrontados have committed three of his Handy bulk carries “Kaity L” & “Christina L” & “Maria L” 50/2003 blt Jiangnan (“Maria L” SS/DD due) to Chinese Buyers for USD 8.5mill, USD 8 and USD 8 mill respectively.